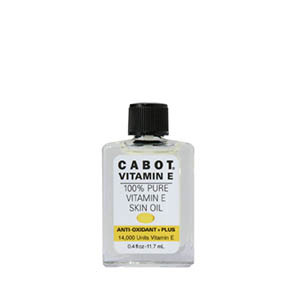 Cabot Vitamin E Anti-Oxidant Plus Super Moisturizers. Cabot P.O.L. Cream and P.O.L. Lotion to hydrate and rejuvenate even the most vulnerable skin. 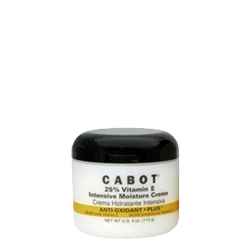 Cabot Oat Protein– Hydrolyzed Oat Protein Anti-Itch formulations. If you are exposed to harsh outdoor conditions or the drying effects of central heating you need to may need to reapply moisturizers throughout the day. 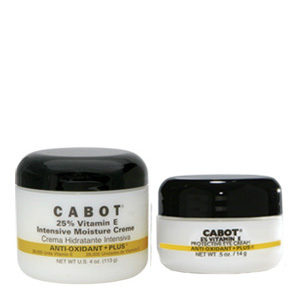 Whether choosing a moisturizer for face or body remember that creams are more hydrating than lotions. Use gentle moisturizing cleansers on your face and body. Moisturize daily with products containing anti-oxidants to help repair damaged skin and reduce the visible signs of aging. Oat Protein products provide the best relief for itchy or irritated skin. Skin needs to be hydrated from the inside as well as from the outside. Drink plenty of water throughout the day.